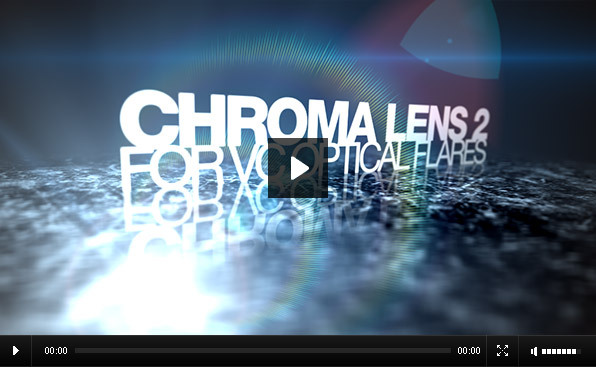 One of the most frequently (over)used After Effects lens flares is undoubtedly Chroma Lens 2 preset available in Knoll Light Factory Pro. As many other motion designers I, too am guilty of using this effect in a few projects too many. As I am currently migrating my flare workflow to Video Copilot’s Optical Flares plug-in, I decided to re-create this client-favorite preset inside the VCOP. With this new preset I can now satisfy the requests of the clients without using KLFP (which starts showing some serious signs of aging). I can also easily adapt the older, archived projects into a new workflow with just a few simple adjustments. If you, too are a Chroma Lens 2 addict, or have clients demanding this particular look from your project – you’re in luck. Simply download the preset below, drop it into your VCOP presets folder and you’re good to go. Due to the differences in the way Knoll and Video Copilot built their plug-ins, the preset is not a 100% replica. It comes close enough though, and can always be tweaked further. I’m Commander Shepard and this is my favorite preset on the Citadel. Ah, so somebody actually found it useful :) Enjoy!